Let’s talk about mission creep. Not the military use of the term, when a brief hearts-and-minds mission ends up as an unwinnable desert conflict with a ten-figure pricetag. Rather the shonky masculine maths that ends up with the purchase of a sportscar for nearly twice what you originally planned to spend. 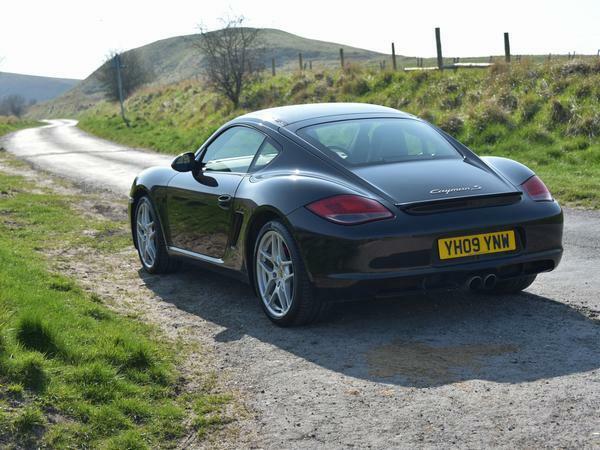 The tale of my Cayman S is one of those car-buying stories that, as a great man once put it, escalated quickly. 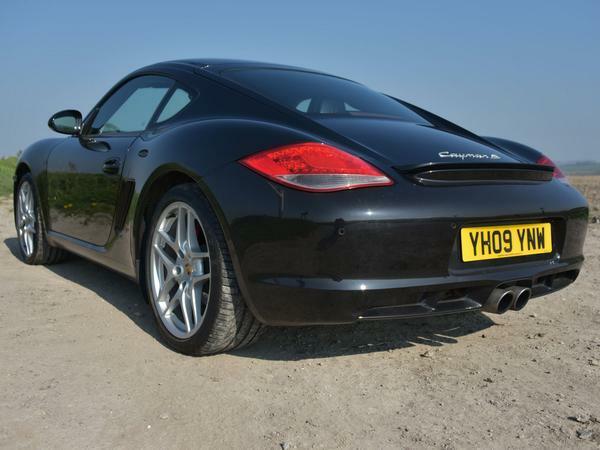 It began innocuously early last year with the realisation that early versions of the roofed Boxster had dropped well into four figures, this being a car I had been threatening to buy for years. Goaded on by some mates who wanted the unusual sight of me spending money I was soon haunting the classifieds to an obsessive extent. 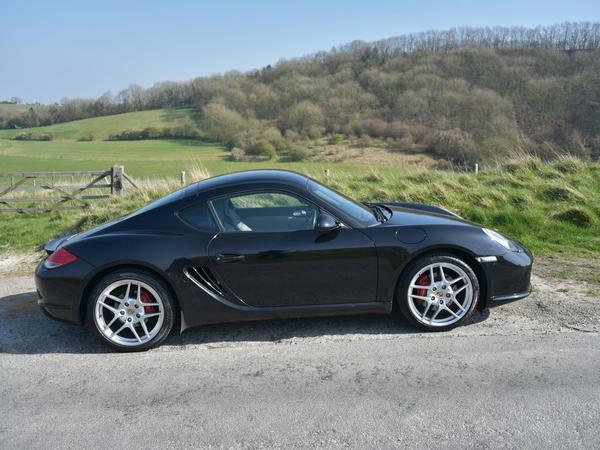 For a couple of months I could pretty much list every sub-£12K Cayman on sale anywhere in the UK and was saying things like “is that the grey tiptronic in Bury or the blue manual with a rear wiper in Somerset?” Before long I was even starting to bore myself. I went to look at a couple, only to realise that the really cheap ones were unlikely to be long-term bargains. One early 2.7 that looked promising on AT turned out to have averaged an owner a year, at least one of who seemed to have cleaned it exclusively with Brillo pads. Another had left a pool of oil where it had been sat on a dealer's lot for some time. Then there were the oft-reported risks of IMS bearing failure and bore scoring on the earlier 2.7 engines. But by being picky I was also quickly Venn diagramming myself out of choices. I wanted a manual gearbox, a decent colour, evidence that the car had been looked after and – after driving both 2.7 and 2.9s – I admitted that I really needed the brawnier S. It was soon obvious that sub-£10K wasn’t going to work and – having sold an elderly Audi A6 – top budget crept up to £15K. I would be able to get a nice, early S for that. I just needed to wait for the right one to turn up. The increase in funds also led to an increase in dithering, and an outbreak of what many PHers will recognise as ‘I could have one of those-itis’. Superficially attractive 996-gen 911s were now in budget, and I thought long and hard about a V8 powered E90 M3 similar to the one that James Drake has added to the fleet. 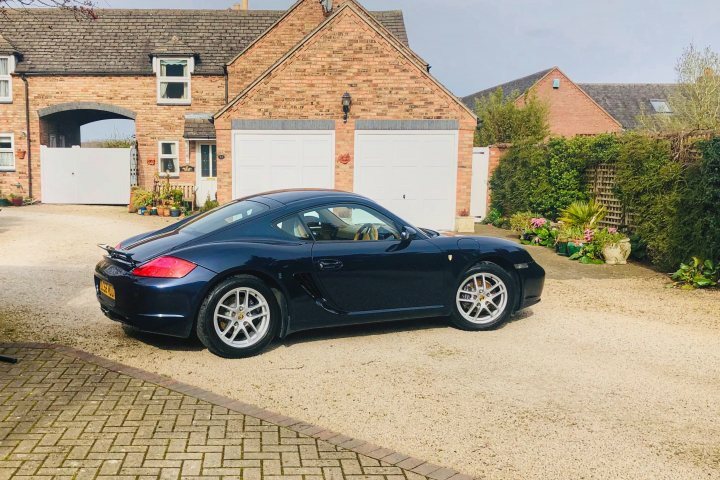 But barring rear seats I realised I preferred the Cayman to the 996, and the BMW fantasy ended with an insurance quote for getting on for twice as much as a Cayman S.
A deal was done (clearly) on the basis that me and the family can always live on beans for a while. I picked the car up in September and – for the first couple of weeks – was as goofy as a love-struck teenager. 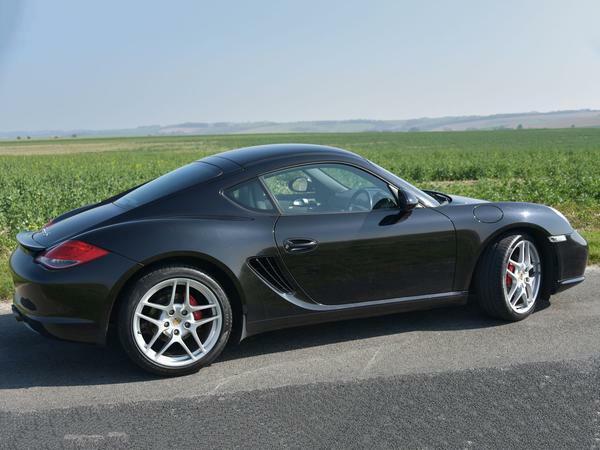 The 981 and 718 Caymen might be faster and grippier and plusher, but neither is better to drive than the 987 and its combination of naturally aspirated flat-six zing and what is probably by favourite hydraulically assisted steering of all time. It’s one of those cars that feels properly special even when travelling at everyday speeds and doing everyday things. The romance wasn't uninterrupted. After less than a month of ownership I fired it up for a work trip to the airport to find the engine management light stayed on and the engine’s normal purr had been replaced by a smoker’s rattle that suggested several of the cylinders hadn’t reported for duty. All those stories of hugely expensive engine faults came back and back off to Ashgood it went. On the plus side, I got a 997 to tool around in for a few days while the S was given the once over. It returned with a new high pressure fuel pump fitted under warranty. Other owners of middle-aged Porsches have already warned me that occasional intense wallet pain is a near-guaranteed part of the experience. I know that, but I'm still enjoying it. Living the dream he is. Bought 5 months into the future? Bought September 2019 perhaps should read September 2018. But well done on finding a car that you enjoy. Good read and lovely car. Hopefully man maths featured into the equation on the basis that depreciation should be low and therefore it makes a....er... sound investment shirley?! Enjoy. Great cars, bought mine from Ashgood 2.5 years ago and going well with similar miles to yours. A few subtle mods make a more focused drive if that is your thing. Then there were the oft-reported risks of IMS bearing failure and bore scoring on the earlier 2.7 engines. Not sure where this comes from. All 987.1 Caymans have the big bearing that rarely fails and the 2.7 is also not prone to bore scoring. Nice story, similar to mine. Congrats and best of luck. The 2.9 brings such a performance advantage over the 2.7 that it can travel through time. I had an 09 Cayman S with a limited slip differential and sports seats and it was the best pure driving car I've ever had. I traded in my 06 911S for the Cayman and it was the right decision. The Cayman was the better car. At no point did it feel underpowered compared to he 911 and the cornering and handling was far better due to the mid-engine set up. The naturally aspirated engine makes it more rewarding than the current turbo variety. Great car with perfect driving position and seats. I recently bought a 2010 Boxster S manual. 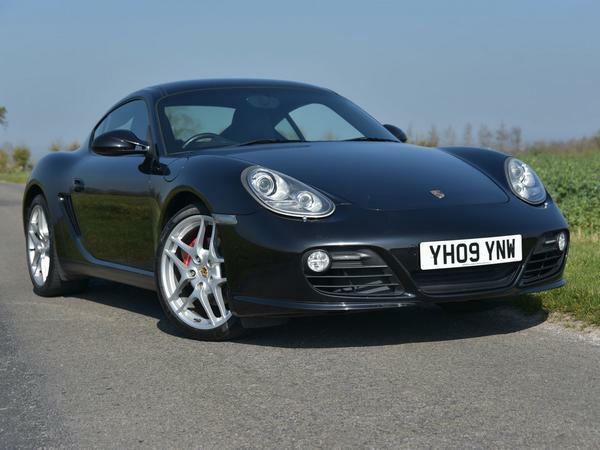 Obviously it loses a bit of rigidity compared to the Cayman but the engine, 'box and steering are all just right as is the ride/handling balance which is the most important aspect of any car for me. 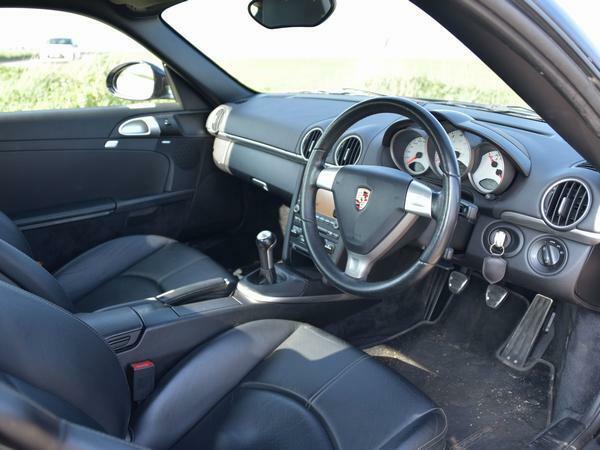 I have had a 996C4s (cab) and an e9x M3 (cab) both of which were inferior to the Boxster in most respects. Having a preference for convertibles means I didn't consider the Cayman but I am sure it's excellent to drive. Can anyone other than CMoose (resident expert on Caymans) confirm the 2.7/3.4 propensity to bore score? Due to the internet and enthusiasts being a vocal bunch, you will hear about it an awful lot. There's no way around it, it's something that'll happen to most of them. There are measures you can take to mitigate the chances of it happening if it's not already happened. Getting one scoped is a good start if you're looking at buying it. IMS isn't anywhere near as big an issue, however out of the three 987.1's which friends have had (including my own) one had a rebuild due to bore scoring and the other had an IMS blow (08 2.7). My 06 S was absolutely fine. I do miss it - I now have a 981 S and although being a more capable car it just doesn't feel as entertaining to drive short of the exhaust note. Essentially, keep on top of maintenance and invest in a low temp thermostat / third rad for spirited road driving to aid with the cooling. For any track work, you're better off financially going for a 987.2 due to the cost of the engine upgrades required for the 987.1 to last - even then it might go. What would count as an indecent colour? My 05 987.1 Boxster 3.2S did suffer IMS failure 6 years ago at 60K miles. 34K miles later and £7k lighter of pocket. I'm glad I stuck with it. Beautiful to drive. Only bought service items and coils (cheap & easy to do) since. She loves it and I like thrashing it. 2.7 - doesn't bore score. 3.2 - doesn't bore score. 3.4 (gen 1) - bore score is generally considered to be a question of 'when' not 'if'. Gen 2 engines (any size) don't usually bore score. There have been one or two cases reported that you can find if you really go looking, but it's so few that it's really not a problem at all. 987.1 3.2 - most have the 'small' IMS bearing, the one that fails. This can be uprated to an LN ceramic bearing quite easily. There are people who recommend that this shouldn't be done due to potential issues if not done perfectly, but it's been done by a lot of people. IMHO, a 3.2 with uprated IMS bearing is the best option for a 987.1. There are rumours that some late 3.2s have the 'large' bearing, but not fully confirmed by any engineering shop (this has been done to death on forum threads elsewhere). 987.1 2.7 - I **think** these all have the large bearing, which is not known for failing. This one's the lowest risk of failure. 987.1 3.4 - all have the large IMS bearing, so pretty safe in this regard (of course, the bore scoring issue makes this the engine to avoid). I concur with the above, will just add the Cayman 2.7 is all big bearing. Only pre-MY2006 987 Boxster 2.7s have the small bearing. 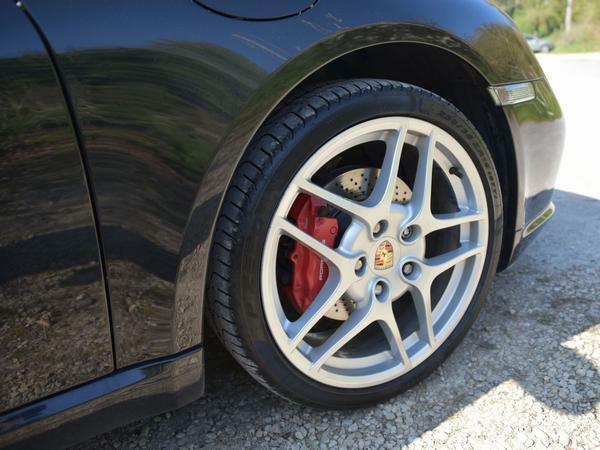 Cayman 2.7 started MY2007 by which time all the flat sixes had the big bearing. The gen 1 3.4 is really the only very worrisome engine. You'd be unlucky to have any of the others let go on you. nicely written piece and I totally get the appeal of the Cayman S. I imported a RHD one which I then sold for profit (for once in my life!) after only 3 months but in terms of grins per mile it was up there with my first Mini (orange with white wheels...living the dream). Does this mean Mike's Merc 190 has gone? Very nice choice. In practical terms this is pretty much the achieveable dream car for me, and probably quite a few others as well. It just seems to have that balance between relative affordability on one hand, and driving dynamics/power plus fairly exotic looks on the other. 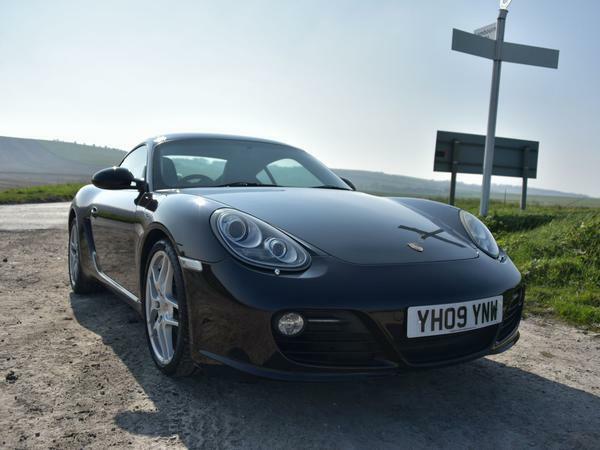 I love supercars and what have you and , but I'm not convinced that I could justify needing any more power than a Cayman S has to offer, as a fast car road. I've owned a Cayman (non-S) for about seven years now, put ~70K miles on her. Never had any issues with it, drive so well that it's difficult to find something to replace it with (hence my long ownership). Very likely going to keep it indefinitely now. She'll tick over to 100K at some point this year and I'd like to celebrate by doing the NC 500.